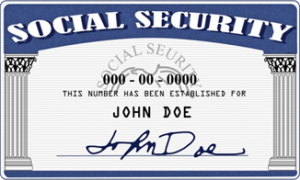 Richmond IN Social Security office Directions: THE RICHMOND OFFICE IS LOCATED IN DOWNTOWN RICHMOND ON THE CORNER OF NORTH A AND 5TH STREETS (NEAR THE POST OFFICE AND LIBRARY), AT 500 NORTH A STREET. FROM INTERSTATE 70, EXIT US HIGHWAY 27 S, TURN WEST ON NORTH A STREET,THEN TURN NORTH ON 5TH STREET. FROM US HIGHWAY 40,TRAVEL TO DOWNTOWN RICHMOND THEN TURN NORTH ON 5TH STREET.